Open to contemporary fine artists and designers, both professional and student. PRISM is an ongoing project, offering the chance to experiment with new techniques and venues for both curators and exhibiting artists. PRISM 18 is currently seeking submissions for its next event in Sheffield. Works submitted should address the temporary, sociable nature of the "event" and seek to explore, exploit, or disturb this. 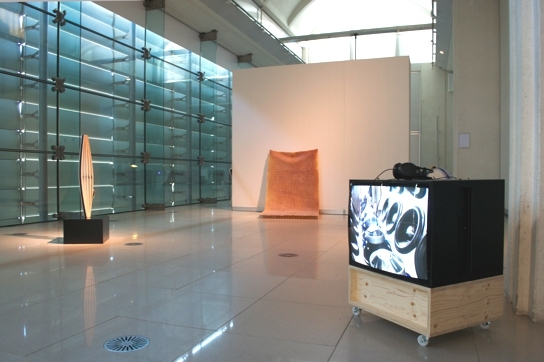 PRISM is one of Sheffield's leading contemporary art events. Established in 2008, it utilises various venues to exhibit work by emerging and established artists. As a one-night event featuring a variety of work, screenings and live music, PRISM provides the opportunity to experience exciting and immediate creative endeavours in a social setting. Artists are encouraged to submit work in any medium that engages with the temporary, social nature of the event. Please send proposals to prismsheffield@gmail.com. PRISM is Sheffield's leading contemporary art event. Established in 2008 it utilises various venues across Sheffield to exhibit work by emerging and established artists. PRISM has held events in The Showroom Cinema, Bank St Arts, S1 Artspace and The Orchard Centre. PRISM as an ongoing project evolves alongside the work it shows, offering the chance to experiment with new techniques and venues for both curators and exhibiting artists. Featuring live music alongside works by an international selection of contemporary artists, PRISM provides the opportunity to experience exciting and immediate creative endeavours in a relaxed social setting.